To get there: Quickest way is to go south on Interstate 5 to the Cosumnes River Blvd. exit, about 11 miles from downtown. Exit right and immediately turn left onto River Road (Highway 160), and you’re there. Less than half a mile down, Freeport Wine Country Inn, on your left, from late May into September fills its front yard on Sunday afternoons with dog-friendly tables where you can enjoy live music while you chow down (flatbreads and hearty American food for the most part, and an international wine selection). Just past the adjacent parking lot, Freeport Bar & Grill is a popular place for breakfast, lunch and dinner and has a lovely dog-friendly patio out back. Four miles further on, Scribner Bend Vineyards has an expansive dog-friendly patio, wine-tasting Friday-Saturday afternoons year-round (often with live music) and an on-site pizzeria, Paesanos, that turns out wood-fired pizzas, small plates and salads to go with the wine and music. Follow the directions above to River Road, turn left and look for the green Freeport Bridge over the river. Drive over it and turn left. Keep your eyes peeled, and you’ll soon see the Dinky Diner, a shingle-covered trailer on your left. Long before food trucks were a thing, the Dinky Diner was a fixture, dishing up burgers and sides. Picnic tables are of course dog-friendly. 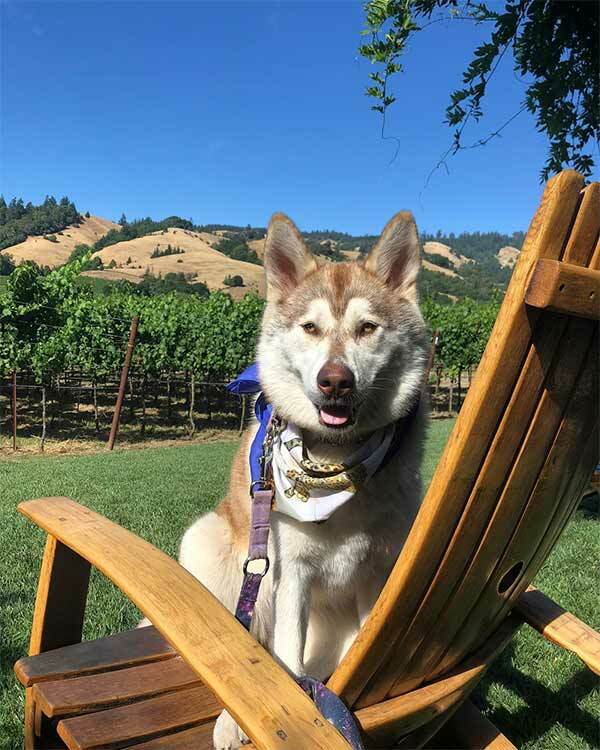 Next stop (weekends only in winter): Miner’s Leap Winery is a beautifully landscaped place with a dog-friendly tasting room in a century-old barn and lots of outdoor tables. BYO snacks or wait until summer, when there’s free music on Friday afternoons, Saturday concerts in a large and dog-friendly outdoor venue and food trucks to keep you from going hungry. 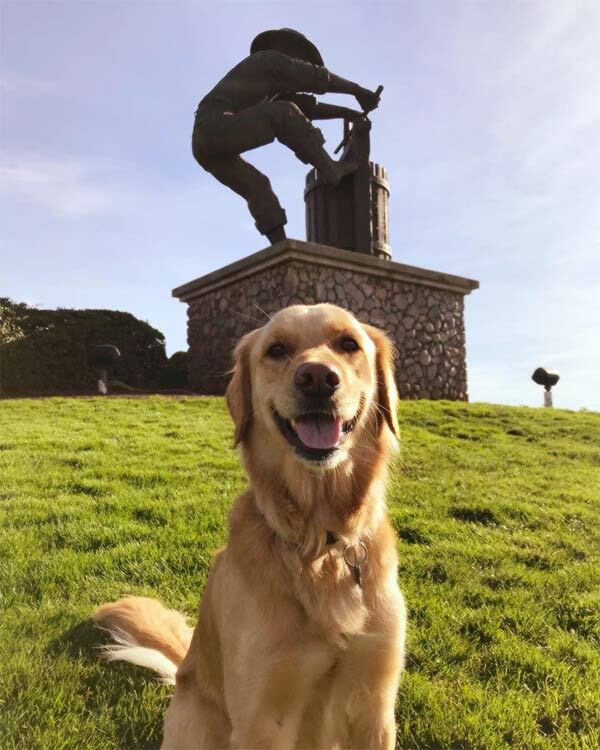 Next comes the town of Clarksburg and the Old Sugar Mill, a revitalized sugar-beet refinery now home to some 14 tasting rooms (most of them dog-friendly) and a picnic patio. Keep going, and you’ll come to Husick’s BBQ and Taproom, housed in a former hardware store and now one of the most lively places in the Delta. The ‘cue is great, and there’s craft beer, local wines and sometimes live music to go with it. A trio of umbrella tables on the patio are dog-friendly. Last but not least in the Clarksburg area, follow the signs to Julietta Winery, a bit off the beaten track but sporting a stylish tasting room, dog-friendly outdoor tables, a fire pit—and, on warm-weather weekends, smooth jazz and other live entertainment.